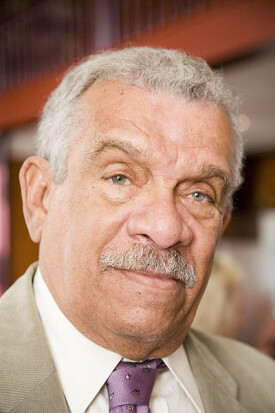 DEREK WALCOTT (born January 23, 1930) is a West Indian poet, playwright, writer and visual artist. Born in Castries, St. Lucia, he has won, among many other honours, the Nobel Prize for Literature (1992), and the TS Eliot Prize (2011). His latest book is The Poetry of Derek Walcott 1948-2013 (Farrar, Straus and Giroux). 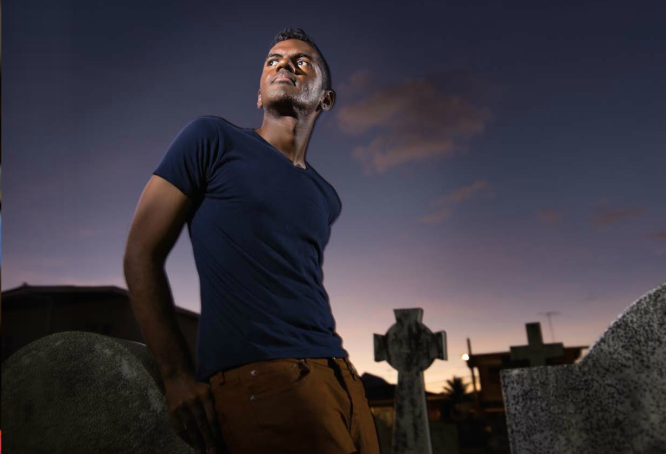 ANDRE BAGOO is a journalist and poet working in Trinidad. His first book of poems, Trick Vessels, was published by Shearsman Books (UK) in 2012. Bagoo’s poetry has appeared at: Almost Island; Boston Review; Cincinnati Review; Caribbean Review of Books; Caribbean Writer; Draconian Switch; Exit Strata PRINT! Vol. 2; Likewise Folio; St Petersburg Review, Word Riot and elsewhere. An e-chapbook, From the Undiscovered Country, a collaboration with the artist Luis Vasquez La Roche, was published at Rebecca Seiferle’s The Drunken Boat in Winter 2013. This was followed by Douen Islands, a poetry e-book produced in collaboration with graphic designer Kriston Chen. [http://douenislands.tumblr.com/] In 2013 his poem, ‘White Street’, was nominated by the editors of The Cincinnati Review for a Pushcart Prize. [Editor’s note: in July of 2012, we received a submission for our print magazine from Andre Bagoo, who introduced himself, as in his bio, as: “a poet and journalist working in Trinidad and Tobago.” I was immediately curious about how he wove these two together – and also I loved his poems, one of which was included in the second PRINT issue of Exit Strata. Excited by his work, I invited him to be part the FIELD NOTES series (here’s his excellent entry, “Interrogating Truth”), as well as the Poetry Month series.